Log homes were initially built for functionality purposes more than aesthetic beauty. They come in many sizes and are built using different types of wood. They are also usually built in forests, where the structure blends in beautifully with nature. Even though building one may seem tough, it is in fact quite easy to build. You can opt to either build from scratch, or purchase one of the cabin tool-kits that are readily available in most hardware stores. If you are building from scratch, here are some tips for you on how to build a log cabin- the easy and durable way. 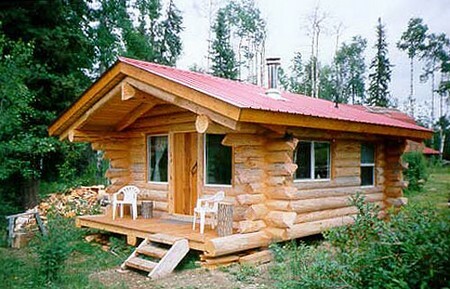 The most basic step is to first design your log cabin. Choose a plot of land where you want it to be located at, and determine the size by measuring the outer dimensions appropriately. Remember to design it in such a way that the walls should not be longer than the logs. The chosen land should be level and have good draining system. The logs or timber to be used should be of good quality and from suitable trees. To prepare the timber, remove branches and knots. You will also need to shape the ends of the timber. The number of timber pieces needed can be determined by looking at the design plan. Next step is to dig fairly deep postholes. Using reinforced concrete, install the timber posts. This will ensure that they remain in place. The following step is to set up floor beams. Popular options for flooring include wooden panels or plywood. Before you set the timber to create walls, cut a few notches to hold them together. The rule of thumb is that they should fit as closely and as snugly as possible to one another. Ensure that you leave some space for the door and windows. To further support the structure, fit the supports by running timber into additional holes cut in the walls. They can even cross the ceiling height of the interior and be used to support a second story. Build wall extensions that form the vertical portion of the roof, one side at a time. 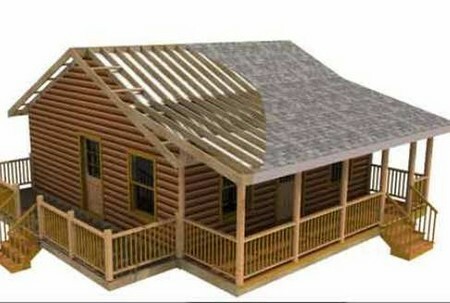 Continue building until you reach the center of roof support, which is the highest part of the cabin. Support the timber using rope when securing it to the extension. For the underside of the roof, attach plywood. Depending on your design layout, you can now install the other parts such as stairs or chimney. Last but not least, feel free to personalize your cabin! You can apply these steps in learning how to build a log cabin. Enjoy your building project!